Ideal educational toy for children from the age of 2. Promotes the development of spatial orientation and logical thinking, motor skills, hands and fingers. With their help, children learn to solve new creative problems. Came quickly, the quality is excellent! Good puzzles, 20 days to Yekaterinburg, box slightly wrinkled (for those who take the gift ask store pack), overall pretty! Product. Accurate. Arrive fast. And service good מהמוכר. have a small smell, first time "lived" balcony puzzle. LOVE the graphics of the animals. good size puzzle! good quality! cute puzzle! 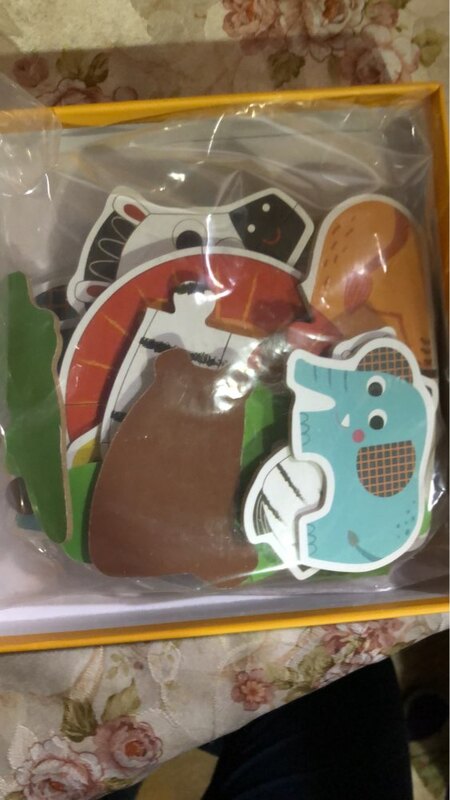 cardboard puzzle with each 2.к for kids + figure! very nice vivid color, thick cardboard :) recommend. delivery month, troche the wgniotło for this with second was metal box, but this is not a problem, puzle not affected. shipment rejestrowana to the same address for making very dziekuje. perfect product! exactly as shown and written. 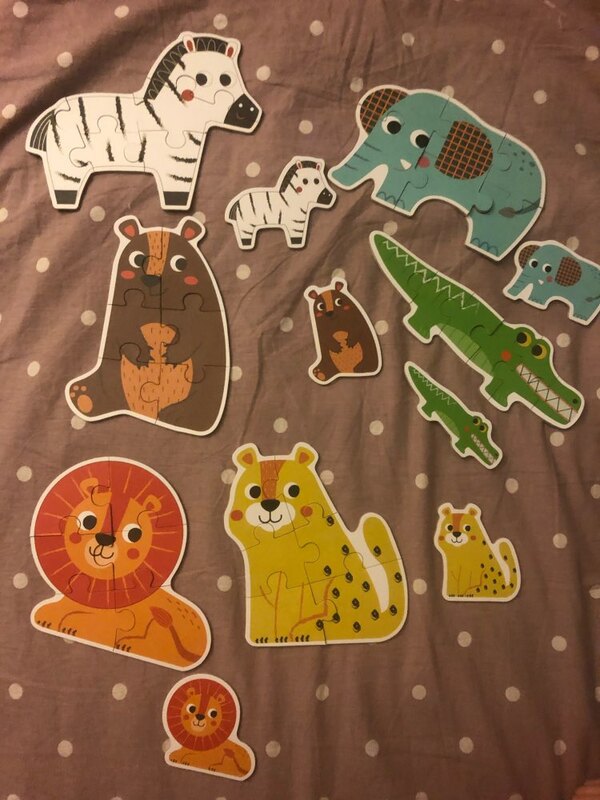 each animal/puzzle is approximately the size of a hand. great game with excellent price. came well and safely packed. very happy!! Very satisfied. Fast shipping. Very nice pictures, easy to build (though, for unknown reason, the fish model is inverted). I recommend. Puzzle arrived well packed, good material, happy with it. Delivery time to Austria 18 days. Puzzle arrived well embalado, buen material, es feliz con ella. tiempo de entrega a Austria 18 días. The heading is the product was misleading and inaccurate, I bought this puzzle thinking that it’s a wooden puzzle but it’s not. It’s partly my own fault that I didn’t read the details of the product, as it did list that it’s made of paper. Have I known this, I wouldn’t have bought it for the price.